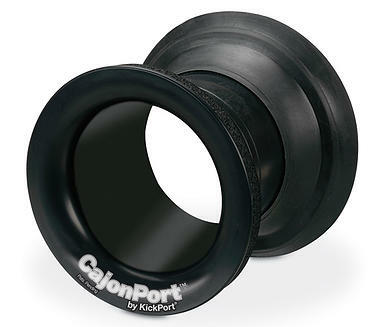 Kickport is a product developed to give your bass/cajon a "bassier" sound. 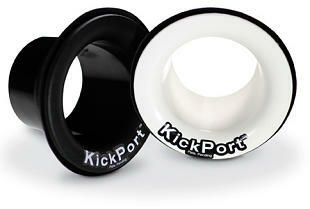 Singapore Drum Shop is a official dealer of Kickport. • Maximizes natural tonal qualities of any drum. • Enhances Subsonic frequencies from 20 - 80 Hz*. • Increases attack and definition with improved feel & more power. • Versatile, affordable, portable and easy to install - the choice of the world's top drummers. • Exclusive Patent Issued design. • Lowers fundamental to as much as one octave for unbelievably deep & rich low end. • Creates greater distinction between Cajon's bass and snare sounds. • Sizing band versatility system makes CajonPort compatible with Cajon's with holes sized 4.5" to 4.75". Compatibility Size: 4.375" to 4.75"